In his new book human paleoanthropologist Ian Tattersall argues that a long tradition of "human exceptionalism" in paleoanthropology has distorted the picture of human evolution. 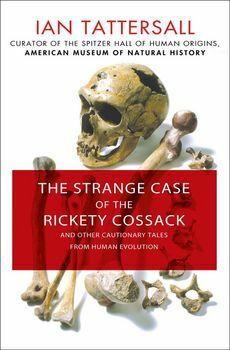 Drawing partly on his own career—from young scientist in awe of his elders to crotchety elder statesman—Tattersall offers an idiosyncratic look at the competitive world of paleoanthropology, beginning with Charles Darwin 150 years ago, and continuing through the Leakey dynasty in Africa, and concluding with the latest astonishing findings in the Caucasus. With tact and humour, Tattersall concludes that we are not the perfected products of natural processes, but instead the result of substantial doses of random happenstance.